Every Wednesday morning until December 20, join us at 11:00 a.m. for stories and songs led by Free Library librarians. 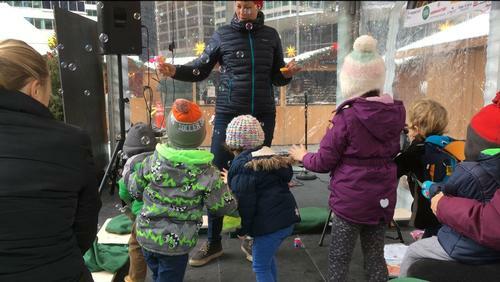 We may have gotten our first snowfall of the year, but our families love storytime at Christmas Village in LOVE Park despite the cold weather. Every Wednesday morning until December 20, join us at 11:00 a.m. for stories and songs led by Free Library librarians. 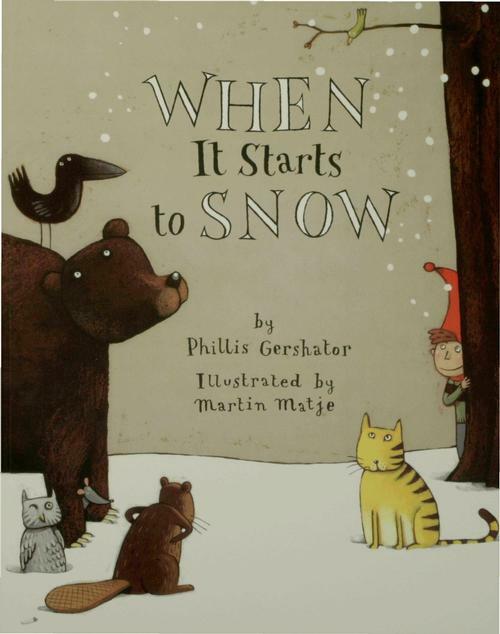 Last week, Ms. Barbara started her winter-themed storytime with When It Starts to Snow by Phillis Gershator. What do animals do when it starts to snow? Where do they go? Everyone got involved calling out the animal names and learning about the animals’ homes. My favorite story was The Snowy Day, a classic children’s book by Ezra Jack Keats. Young Peter reminds us of the wonder and joyfulness of fresh snow on his adventures around town. To the tune of "Twinkle Twinkle Little Star"
After the storytime, the Christmas Village folks had a surprise—a free book about their mascot Phil for all the participants! I had a great time visiting storytime at the Christmas Village, and I hope to see you next time. Join us for our last storytime this Wednesday, December 20, before the Village closes for the year.